Thanks to more than $180,000 provided through the Queen Elizabeth II Diamond Jubilee Scholarships program, students from the University of New Brunswick will be able to get hands-on experience in their field of study while earning academic credit. The Connected Learning Across the Commonweath program, UNB’s dedicated chapter of the national scholarship program, is in its second year of distributing funding. In 2016-2017 it will provide scholarships valued at approximately $182,500, with a four-year (2015-2019) total of $499,500. The Canadian Queen Elizabeth II Diamond Jubilee Scholarships program is a joint initiative of the Rideau Hall Foundation, Community Foundations of Canada, and Universities Canada. It was created through unique contributions from the Government of Canada, provincial governments, the private sector, and individuals worldwide. This scholarship program is an integral part of UNB’s International Internship Program and will provide students with $6,000 each from the following faculties: Nursing (6); Arts (1); Business (1); Law (3); Engineering (1); Science (2); Kinesiology (1); Forestry and Environmental Management (1); and Renaissance College (1). This is in addition to supporting a PhD in Interdisciplinary Studies student. Veronica McGinn, UNB’s coordinator of international development with the office of Global Learning and Engagement, said the scholarship program is prestigious. With this funding, UNB students will be able to complete a three-month internship related to their field of study. 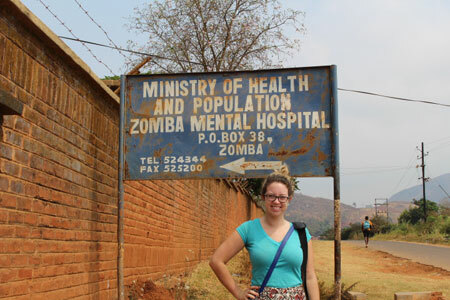 These internships, offered with the help of partners in Malawi, Zambia, Ghana, Jamaica, and Barbados, will help out undergraduate students gain a deeper understanding of development issues. Our graduate program is design to support individual masters and PhD students. The placements are selected based on expression of interest. Ms. McGinn said participants are given a chance to apply their studies in the real world. “These students learn their disciplines from across the world. They really get a chance to understand their work from all aspects, in a country where the emphasized issues are different than in Canada,” she said. Global Learning and Engagement will announce the 2016-2017 Queen Elizabeth II Diamond Jubilee Scholars on Monday, Feb. 22. All are invited to help celebrate these scholars from 6 to 8 p.m. in the Alumni Memorial Room. Come learn more about the scholarship program and opportunities available to UNB students.